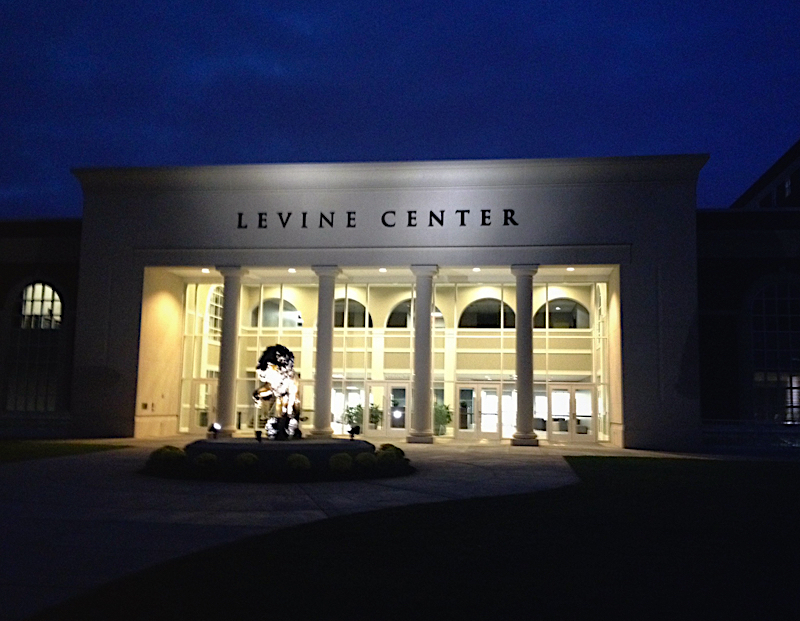 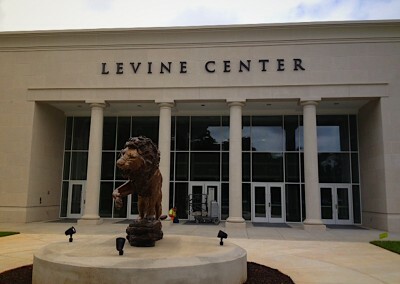 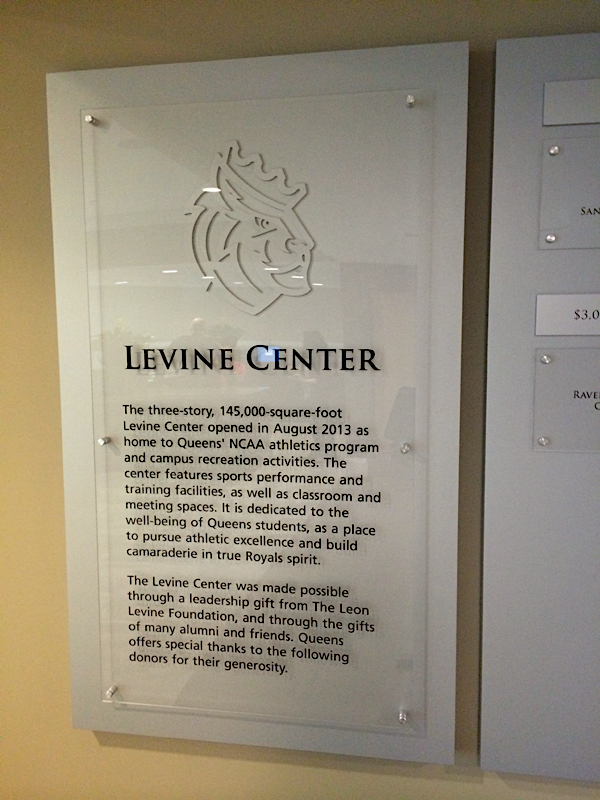 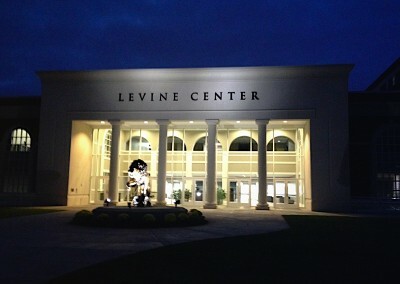 The Levine Center for Wellness and Recreation is an extremely impressive, 145,000 square foot facility on the campus of Queens University. 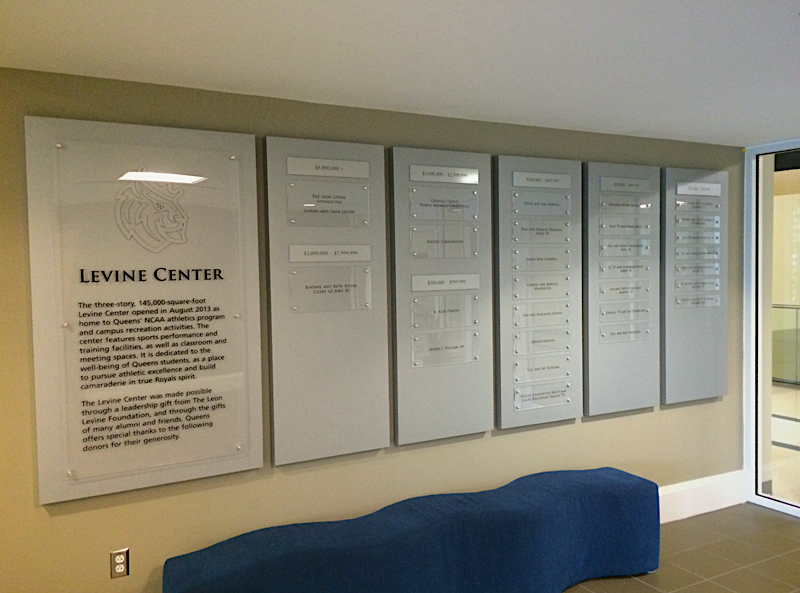 We have had the privilege producing multiple sign projects for this state-of-the-art facility. 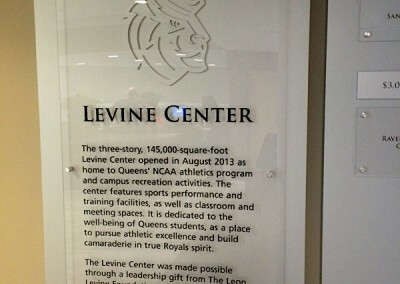 The projects included: Exterior letters at the front entrance of the building, fabricated aluminum donor boards with reverse printed glass plates, large printed wall graphics, acrylic interior letters and printed vinyl logos applied to the glass railings above the gym floor.